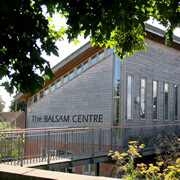 All are welcome to the next Patient Participation Group information afternoon on Thursday 29th January at the Balsam Centre, Wincanton, where the subject will be Child Health. On 25th May Wincanton Patient Participation Group gave their fifth Patient Information Evening to a large audience in the Memorial Hall on the subject of Men's Health and Prostate Cancer in particular. Wincanton's Patient Participation Group is holding an event with free admission on the subject of Men's Health and Prostate Cancer in particular. This condition is very common amongst men of middle age and this is an opportunity to find out the facts and ask your questions. The Wincanton PPG (Patient Participaption Group) at the instigation of Stephen Beech organised a very well attended session on this very difficult illness where they heard from experts about the condition and how to deal with it and the treatments available in anticipation of Stephen setting up a local Parkinson's support group. Retired police officer and Parkinson’s Disease suffer Stephen Beech is keen to start up a Parkinson's Support Group locally. Through the Wincanton PPG he has also organised what should be a very interesting talk for 13th September from the Parkinson's Speciality Doctor in Yeovil, Kristina Baker. Graham Box, Chief Executive of the National Society for Patient Participation decided to draw attention to the growth of Patient Participation Groups across the country, visiting them all by cycling from Stockton on Tees and ending in Wincanton. So we think we all understand pain? Wincanton Patient Participation Group organises a fascinating Open Meeting on Pain and Persistent Pain Management addressed by two specialists in the field, Dr Louise Tarrant and Jonathan Thurlow. Wincanton GP Iain Phillips and Dementia Consultant Chris Sherratt lead a well attended evening exploring Dementia for more than 60 in the Memorial Hall. Wincanton PPG has become a major player in the regional promotion of closer contact between health centres and their patients. It will represent the town at a forthcoming conference and has arranged a series of public information evenings.